We recently wrote about flowers that you can expect to bloom at the beginning of spring. Today, we’ll give you a heads up on mid-spring blooming blossoms, so that you can plan for a garden or know what’s going to be available to make magnificent floral bouquets with a couple of months (or, tell your florist you want these flowers in your spring bouquet). Daffodils are stunning mid-spring flowers. They’re large, they make a showy display, and they beg to be noticed even when it’s pouring rain outside. Late varieties, such as Mount Hood and King Alfred, are the most dynamic. People love tulips, so their arrival in mid-spring is a joy to many. Tulips bloom for a long time, which makes them perfect for including in arrangements well into summertime. Azaleas also make their presence known during mid-spring, and boy do they show off. The plants, which are in the Rhododendron genus, give off flowers that often last for several weeks. The flowers from the magnolia tree produce a sweet scent, so you’ll likely notice them immediately when they bloom during mid-spring. The star magnolia is the first of the genus to bloom. There are about 30 to 60 species of dogwood trees, each distinguished by their blossoms, bark, and berries. Depending on the tree, you’ll see a show of different kinds of flowers, but they’re all beautiful and perfect for spring yards. 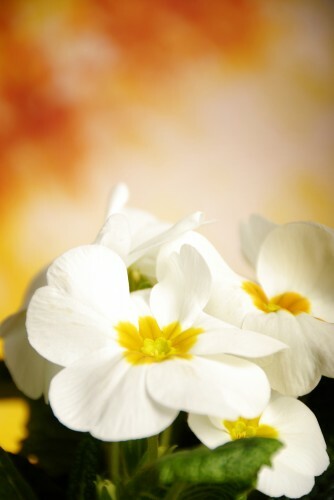 Primrose arrive in the garden like gems dropped from the sky, especially the well-known cowslip and common primrose, which some consider the most brilliant of the varietals. Along with these mid-spring blooming flowers, you’ll likely be able to get your eyes and hands on hyacinths, muscari, redbud trees, and trillium during springtime.